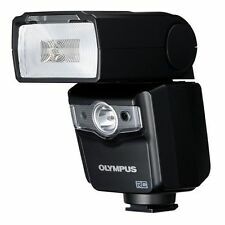 OLYMPUS FL36 SHOE MOUNT FLASH. Excellent condition Olympus FL-36 electronic flash with case and box. Works perfectly and looks near new. Manual available online. The flash is in goodcondition with signs of wear. Trending at $72.00eBay determines this price through a machine learned model of the product's sale prices within the last 90 days. Very lightly used Olympus FL-600R in great working condition. Excellent condition Olympus T32 Flash with only minor wear and tear from normal usage and notes for the flash taped to the top that can be easily removed. 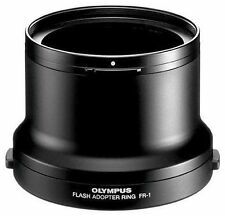 Olympus OM-D Series FL-LM3 Flash 1. E-M1 mark II. Almost mint. Works like new. A couple of minute scratches on top ( see last picture). In good overall condition. Shows moderate signs of use. Bounce and swivel head. TTL auto, auto, and manual modes can be set. Runs on 4 AA Batteries (not included). Hunt's has been trusted choice for 112 years and we have outlasted many competitors, especially in this Internet age. In excl shape and condition; tested to work; includes original soft case. Free S/I/H within USA only. Condition is Pre-owned. Shipped with USPS Priority Mail. Shipping is always free with me, so please buy as much as you like. Feedback is very important to me. Please contact me with any questions or concerns you may have. Trending at $14.84eBay determines this price through a machine learned model of the product's sale prices within the last 90 days. This allows for flash sync at speeds up to 1/4000th second so fill-flash can be used in the brightest of situations. This is achieved by the flash's ability to fire before the shutter opens and stay illuminated until after the shutter closes. 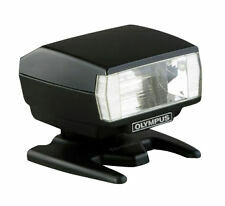 Up for sale is an actually new Olympus FL-36R flash in the box with it's original accessories. I used it in just one occasion and put it back in the box. This is prohibited by US custom regulation. I try to list everything you want to know to avoid discrepancies on both ends. You get EXACT item pictured, as-is. Batteries NOT included. Used this flash twice. Didn't get into photography like i thought i would. Essentially like new. It is in excellent condition with only light wear. I have personally fully tested it on a Olympus OM-4 and it works great. The built-in tilt head also works great. Sorry but no Echecks. 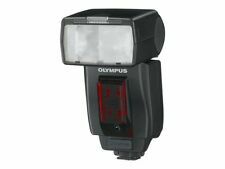 Olympus FL-700WR Flash. USA Product - Authorized Olympus USA Dealer - USA Warranty. 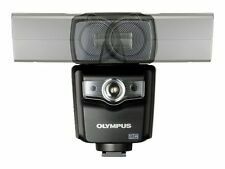 Olympus USA Warranty. Flash Stand. Flash Case. Very little use, and in excellent, 10 condition. Compatible with Olympus TTL. The explanation is simple. I reserve the right to cancel any order which I deem fraudulent! High-Speed,1st & 2nd Curtain Sync. 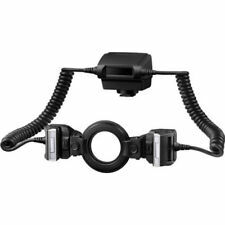 Olympus FL 36 Shoe Mount Flash. Condition is like new. Found at estate sale, also throwing in a Tristar 300AZ Flash.missing part. You are viewing pictures of the exact item you will receive. This item may need a light cleaning and any wear is consistent with its age unless described otherwise. Excellent condition. The case is a bit deteriorated and cracking. Favorites List!